I love the fact that these strange phenomenal tubular atmospheric condensations are called Morning Glory clouds! The name reminded me of the delicious stir-fried tubular vegetables, albeit tangled, that are so popular here. 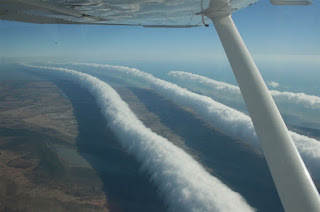 Even better, their formation (these clouds appear every autumn over Burketown, Queensland, Australia) remains clouded in mystery. Ta da (had to get that remark in)!! There’s obviously a meteorological explanation, but as yet no scientist has come up with a reasonable one. Luka So Yuk Ping (Ms), Instructor, Department of English and Communication, City University of Hong Kong, Hong Kong. Iona Milligan Lai Ching (Mrs), Instructor, Department of English and Communication, City University of Hong Kong, Hong Kong. Angie Tourani gives a free introduction to BodyTalk therapy, ahead of workshops. Rm 708 Rightful Centre, 11 Tak Hing St, Kowloon; workshops, HK$8,800 (US$1,100). Misty Choi Ka Man, research student, Department of Chinese, Translation and Linguistics, City University of Hong Kong, Hong Kong. 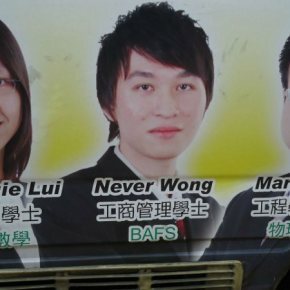 The following sentence sounds pretty lucky: “Eight [people] work at the "888" noodle shop in the basement of the Cameron Centre in Cameron Road” … until you realize these "lucky eight" were victims who succumbed to carbon monoxide poisoning. Do people (i.e. numerologists, Chinese astrologists, Fung Shui practitioners, and those who believe in such Hocus Pocus) take notice of the “lucky” number eight in such negative situations? Clearly not. It is human nature that people only pay attention to “lucky” numbers that confirm their biases and will usually ignore any incidents that reject their predetermined view. Ten people at a Japanese-style noodle shop in Tsim Sha Tsui ended up in hospital yesterday when the ventilation system broke, raising carbon monoxide levels to 20 times the standard level. Eight of the victims work at the "888" noodle shop in the basement of the Cameron Centre in Cameron Road. There was also one customer - a three-year-old boy - and a man who works in a ground-floor shop. Last night a 27-year-old man was in serious condition in Queen Elizabeth Hospital and the others had been discharged. Six fire engines, eight ambulances and a mobile casualty treatment centre were dispatched after the restaurant workers complained of inhaling gas and feeling unwell just before 2pm. Most said they felt dizzy or were having difficulty breathing. They were connected to oxygen masks after being carried into ambulances. Police cordoned off a section of Cameron Road while firemen wearing breathing apparatus and carrying gas detectors were tracing the source of the gas. Shops at ground level were ordered to close until about 6pm. Workers from the Drainage Services Department were called in to open the covers of nearby manholes to carry out checks. The Fire Services Department said there was a high concentration of carbon monoxide in the restaurant and an initial investigation showed it had been caused by a faulty ventilation system. 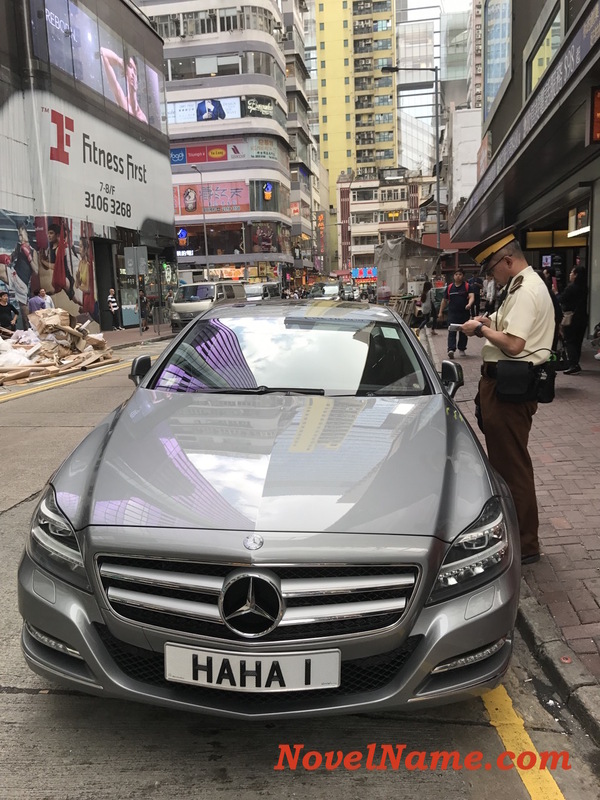 Lo Kam-wing, Tsim Sha Tsui fire station commander, said the level of carbon monoxide at one time was 20 times higher than the standard level. "Carbon monoxide is a colourless and odourless gas. Inhaling the gas makes it difficult to breathe and you feel dizzy," he said. A fire officer said the gas level was raised because there was no fresh air being pumped into the restaurant. Choi Kin, former president of the Medical Association, said the percentage of carbon monoxide in fresh air was low and it would not have a fatal effect even if the level was 20 times higher than normal. However, inhaling large amounts could cause suffocation and brain damage. Jannine Nunan leads a workshop on awakening psychic senses. Feb 15, 11am-4pm, Shakti Healing Circle, 3/F Waga Commercial Centre, 99 Wellington St, Central, HK$1,200 (US$150). How fast can you run 100m and how many times can you repeat it consecutively? I’m simply amazed at how fast elite athletes run. At the 2009 Athletics World Championships in Berlin, we have seen Usain Bolt of Jamaica running 100m in a world record time of 9.58 seconds, and then Kenenisa Bekele of Ethiopia running 10,000m in a championship record time of 26 minutes 45.11 seconds. Having recently started to run on the athletics track, I am in awe of what elite athletes achieve, particularly middle- and long-distance runners. Even though Bolt smashed the 100m world record (a remarkable feat), I am more inclined to be amazed at the pace set by middle-distance runners like Bekele and fellow Ethiopian Haile Gebrselassie, and by long-distance runners. To put it into context, Bekele completed 10,000m in 26 minutes 45.11 seconds. Essentially, he ran the 100m in 16.05 seconds one hundred times. That to me is incredible … non-stop sprinting for about 27 minutes. At a guess, Bolt can probably run 100m at a steady pace (say, 12 or 13 seconds) for perhaps 10 or 20 times non-stop before his pace drops dramatically. And yes, there is a difference in body make up, with powerful explosive sprinters having a preponderance of fast twitch muscles, while middle- and long-distance athletes having a predominance of slow twitch muscles. That’s the physiological difference: explosive but short-lived performance versus endurance. Do you recognize that there is a difference between those two numbers? The following YouTube soundclip is a great example of irrationality (and ignorance, and stupidity, and whatever else …) at work! Enjoy. Caller: Do you recognize that there is a difference between one dollar and one cent? Caller: Do you recognize that there is a difference between half a dollar and half a cent? Caller: Then do you recognize that there is a difference between 0.002 dollars and 0.002 cents? Manager: Well, it’s obviously a difference of opinion. Aimie Mok leads a love magic workshop. New Age Shop, 7 Old Bailey St, SoHo, HK$580 (US$72). Sue Jamieson gives a free talk on her new book, Light on Life. Today, 7.15pm-9.30pm, New Age Shop, 7 Old Bailey St, SoHo. Mag Fung leads a six-week holistic workshop on creating the body you want. Feb 5, 7pm-9.15pm, Shakti Healing Circle, 3/F Waga Commercial Centre, 99 Wellington St, Central, HK$1,800 (US$225).